CHEYENNE, Wyo. 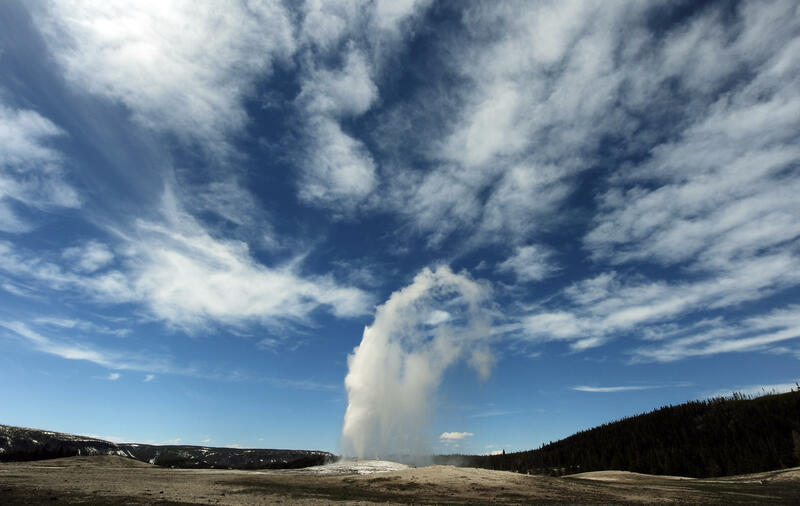 -- A man accused of walking dangerously close to Old Faithful geyser in Yellowstone National Park faces additional charges after a police chase in Wyoming's capital city. Police said Thursday that they arrested 27-year-old Gabriel Villalva of Greeley, Colorado, after he drove recklessly around Cheyenne, which is a seven-hour drive from Yellowstone. Police say they stopped Villalva with spike strips after a 15-minute chase Wednesday. They say he spun his wheels and his SUV caught fire. Throughout Wednesday afternoon, police received numerous calls regarding a gold SUV driving recklessly throughout town, CBS Cheyenne affiliate KGWN reports. Police say they fired beanbag rounds to subdue him. Yellowstone rangers cited Villalva for walking off boardwalks and within a few feet of Old Faithful on Sept. 14. Tourists also captured video of a man resembling Villalva sitting next to one of Yellowstone's hottest springs. Villalva was jailed Thursday and couldn't be reached for comment.